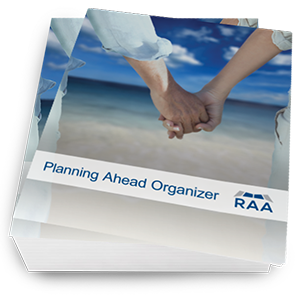 RAA has developed a guide to help you, your spouse, and family sit down and plan for the transition of running your household should one of you become incapacitated or pass away. There are many publications that provide assistance once you become a widow or widower, but it is hard to find help on preparing for that eventuality. We want to help ease the burden of the surviving spouse and family members.